If you consider yourself healthy, chances are you work for it. No matter how much “luck o’ the Irish” you’ve got running through your veins, good health doesn’t simply just happen. It’s not something you’re born with like curly hair or long toes. Good health is about daily, intentional choices that you make. However, even the healthiest among us can get in a rut or lose sight of our health intentions. With March being National Nutrition Month, we thought it fitting to talk about good nutrition. Not just eating plenty of veggies (although that is a great idea) but developing and maintaining good “nutrition” for all aspects of your life. Maintaining Relationships: Having healthy and close relationships with one’s family, friends or community can help you feel happier, safer and more motivated to reach goals and live a positive life. Taking up a new hobby or interest: Find something you love you to or are passionate about that you can enjoy alone and find peace in doing. Having hobbies can improve your sense of usefulness and well-being. Cleanout excess STUFF: Yank those ill-fitting clothes from your closet or clear out the junk from your garage. An open and clean home can lead to a clearer mind. Volunteer: Talk about a win-win. Not only does volunteering help to address a societal need, but there are huge benefits for you as well. Volunteering can help you reduce stress, keep depression at bay, and keep you mentally stimulated. And the more you do it, the more you reap the positive rewards. Get out: Drive to a nearby hiking trail, scamper down the path a bit, and just breathe. The vastness and beauty of nature can help put your issues in perspective. Seek out therapy: Massage therapy, that is. From the feel-good hormones released through massage, you’ve got a “therapy” session that can’t be beat. And this kind of therapy comes complete with a little “me time,” immunity-boosting, and sleep-promoting benefits, too. With nearly 250 studios across the country there’s an Elements near you! Exercise: This one is a bit of an obvious answer, because exercise actually stimulates your brain, lifts your mood, and is great for all parts of your body. Get your 30-45 minutes in, 3-5 times per week for maximum results. You’ll also notice a difference in your energy, your skin, and your muscle tone. Give yourself quality food: Focus on the quality of your food, versus the quantity. Less white, processed food, more rich whole grains. Protein, fiber, lots of colorful produce, and plenty of omega-3’s will keep you feeling satisfied, energized, and fuller for longer. And after eating well for a few weeks, you’ll notice that what you offer to others around you will be of higher quality, too. 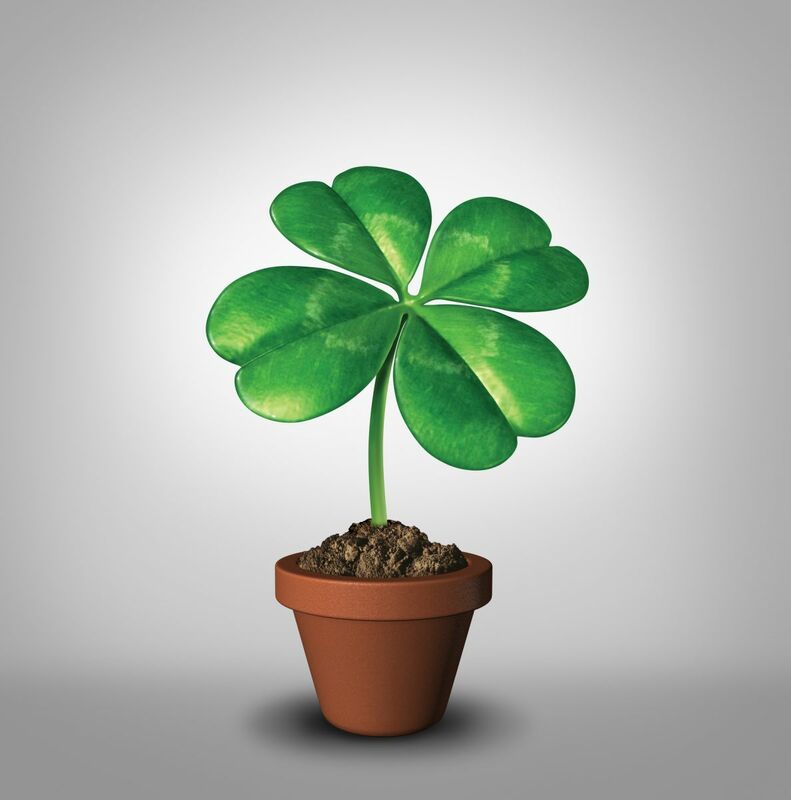 St. Patrick’s Day may be the “luckiest” holiday of the year, but when it comes to nourishing your entire body, soul, and mind, luck has very little to do with your success. Follow these few simple steps and tips, and you’ll feel nourished and lucky all year long.